Crash Cymbals add some bright effects to your drumming style, and facing the beats with some melodic is what gives more power to the drummer as a part of the band. Not only for the music but for the looks, your plates will be a notorious part of your gear and you want them to be the best there is, right? But choosing the right plate can be exhausting, especially if you haven’t defined your style yet. Basically, there are not any bad plates –unless they are really bad, this is why we put a considerable amount of time to let you know what to aim for when searching for the best crash cymbals for your style set. What to look for in crash cymbals? The Cymbals decisively determine the sound of your drum set, and there are so many options that it gets hard for any good drummer or percussionist to find the best fit right away. The type of alloy, which is usually Brass, bronze B8 or B20, used to make a plate is the element with the biggest influence on its sound. Most professional models are manufactured with a 20% tin bronze alloy; this type of alloy is called B20 and is used by virtually all manufacturers. On the other hand, the B8 alloy cymbals are composed of 8% tin. When it comes to the sound, the B8 models produce a clear and bright sound while the B20 instead have a warmer and sweeter sound. Brass on the other edge is only used for beginner models because it is a cheap and very manageable material. Yet, within professional configurations, brass plates are commonly used as a sound effect. Weight is a very important factor when it comes to playing, both for the style you play and for the volume and presence of the crash cymbals in your percussion set. This way, heavier versions offer a strong sound, which is a perfect fit for Hard Rock, and all rhythmic Metal variations. On the other hand, terms such as Medium, Medium-Thin, Thin or Jazz correspond to lighter models. A heavy cymbal will probably offer you a metallic and stronger sound than a light one of the same brand. At the same time, heavy cymbals response time is slower and their resonance is longer. The "loading" of the plate takes more time to stop. Therefore the heavier cymbals are the most suitable for you if your style goes with rude drums and an out loud band. Heavier plates are easier to hear on a large stage, but, if you are a Rock, Pop, Funk, Soul or Hip Hop drummer, you will be more satisfied with lighter weight models which sound isn’t as loud and will benefit your band much more. The current trend for these musical styles is the thinnest and lightest models that respond quickly and are quickly attenuated. If you play in small venues accompanied by a singer-songwriter, it would be nice to keep in mind a Jazz drum kit; some fine cymbal plates that need little impact energy to reach their full sound would give you a more successful and harmonic output. As a drummer and percussionist, you will often understand that you must have a defined style before buying some gear. So, here you will have to know what style is it that you need or wish to play. If your playing is powerful, dishes under 16 "are not the best choice, because they saturate quickly and sound less complete than the larger versions. The sound diffusion improves with the diameter, which is important when the environment is big and noisy. On the other hand, drummers that play more smoothly usually prefer thin plates for their round, sweet sound. If you are not sure of the musical style you practice, a set with all 14” 16” 18” and 20” crash cymbals could do the trick as you move forward to find your sound. Even if you never touch the bell on your plate, they have a very significant impact on the sound of your crash cymbal. The bell adds harmonic overtones that ensure the presence of the cymbal in the overall sound. Drummers that play with a Flat-Ride know about this. Compared to normal Rides, this type of model is more passive, less powerful and attenuates quickly. Therefore, a Crash Cymbal plate with a large bell is more powerful and counts with a sound richer in harmonics than a plate with a small bell. These characteristics play a relevant part on your cymbal plate’s output. As for the cymbal’s profile, this refers to the angle or bow formed by the plate’s design. Basically, the more pronounced this curve is, the higher the pitch and fewer harmonic overtones; while the models with a flatter design will offer more overtones at the price of a lower pitch. The thickness on the other hand usually variates within the plate’s structure. This is called taper and defines the type of parts within your cymbal. Whether Crash or Ride types. Should you buy your plates separately or go for a complete set? Generally speaking, the money will lead you towards buying a set of plates instead of setting up your gear piece by piece. However, if you already have a precise idea of how your cymbals are supposed to sound when it’s all said and done, finding a set that does not include useless plates for what you are looking for can be a real top-level quest. In the end, choosing a complete set may be worth it if you can manage to sell a few plates you don’t need and replace them with ones you want in order to complete your dream-set. Best 5 top-rated crash cymbals that could be a dear part of your arsenal! 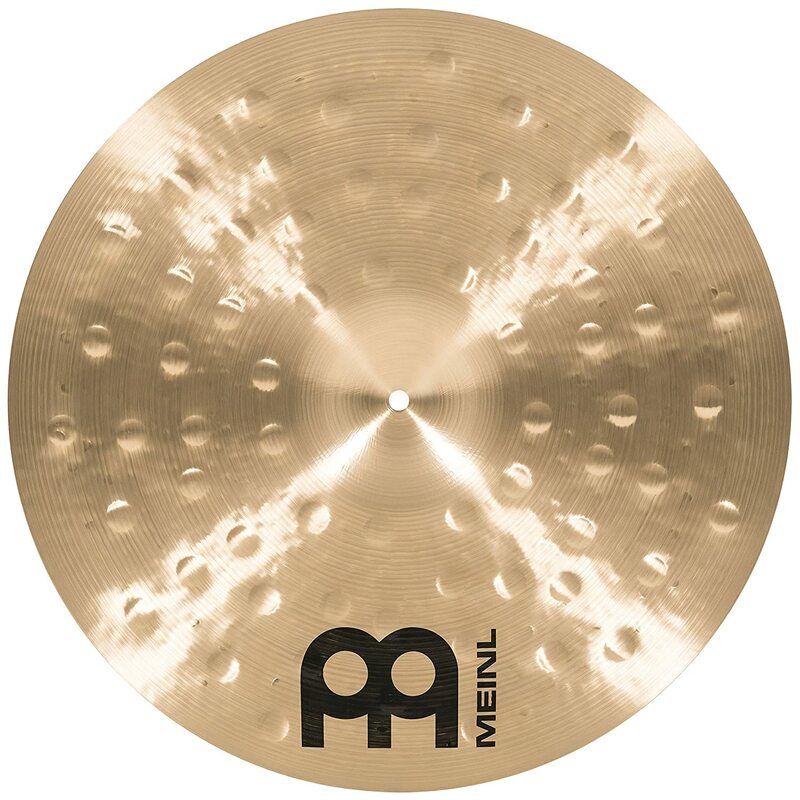 Meinl Cymbals is a dedicated company based in Germany and Turkey that fabricates drum plates and cymbals of all kinds with special lines of production at an artisan level. This brand is renowned for its quality and works mostly with a B20 bronze alloy and has a wide offer of extra effect crafted cymbals. Handcrafted by Cymbal expert artisans in Turkey, this Byzance traditional cymbal plate is hammered with the most careful techniques, granting an adequate and thin structure on a wide plate that offers an excellent sound output for a versatile player. This specific model has 20” of diameter and is better used in hard rock and heavy metal sets and can be combined with other smaller crash cymbals to be part of a more harmonic set if required. Due to its thin profile with a low curve and the hammered spaces allocated all along its structure, the B20ETHC offers a nice trashy effect when you hit it hard. As we said in the beginning, this model can be used for a more melodic setting. This way, discarding the fact that it doesn’t include a bell, it has a nice sustained sound with a large wave and the hammered sections offer a variety of tones that expand upon vibration letting out a range of highs and lows that can accompany almost every style. • Top tier quality plate. • Very versatile, even without a bell it can reach good harmonics on single hits making it good for almost any setting. • Good option for beginners with a nice budget and real projection. • High price compared to others. As for the B20ETHC’s usability, it is very versatile and can work for both as a main crasher or an effect option. On the downside, not including a bell makes it lose some extra notes that could add more bright to its sound, and the price for this item is quite high in comparison to other options which takes it out of most beginner sets. Just as our previous spot, this item is manufactured by Meinl Cymbals, a company based in Turkey that fabricates drum plates and cymbals by lines of production at an artisan level. 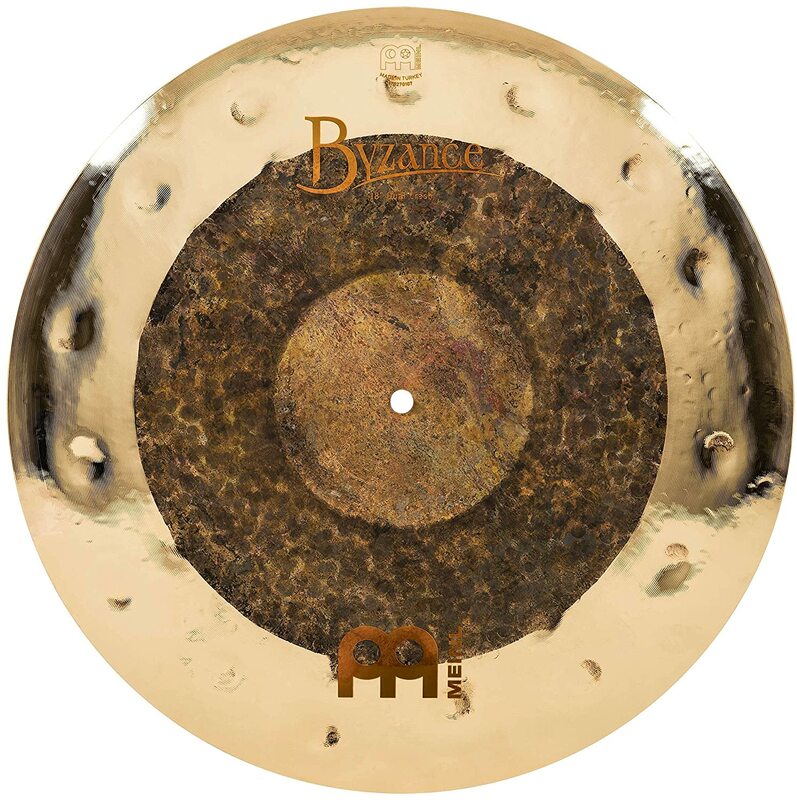 Just as the B20ETHC Byzance, this plate is handcrafted by Cymbal expert artisans in Turkey, but this model is hammered with the most careful techniques on the thin side of the plate near the edges, leaving a robust center to afford a smooth and extra dry shimmering sound output. The Byzance cymbal of 18" presents a surprising contrast of finishes that combine special techniques of hammering and turning. These model offer you a robust sound, with a harmonic and quite versatile touch that can be easily adapted to any musical style, but predominating in those that require little volume. The dry sounds obtained thanks to the hammered areas on the edges offer a dry and fast response result which, also due to its light structure at the edges, offer a sense of connection that makes it easier for new musicians to understand the different tones of this percussion piece. Depending on your style, this Byzance Extra Dry model is best developed in medium tones and is extra functional for opening sounds that require that dry tone and a little more rhythmic. However, their rhythmic personality also makes them quite popular in professional sets. • A very versatile piece of percussion. • Clear and dry sound with a quick response is great to train the ear. • High price compared to other brands. • Is a good opener but doesn’t really excel when it comes to harmonics. In general aspects, this plate excels with respect to others in its category in versatility, even though it does not offer much in the harmonic part. However, its design makes it intuitive to contact and easy to use, especially for those who seek to train their musical ear more. In addition, it has a two-year warranty from the manufacturer. On the other hand, the price, as with all objects related to the brand, is quite high and may not be your best option to start if your budget is not very high. When you think of drums, Zildjian is most likely one of the first brands that come to your mind. And this is not illogical, let's take into account that Zildjian's cymbals have been in front of us for decades offering incredible sets that generate rich sounds in the hands of well-known musicians. Now, not everything is about fame, the Zildjian A Custom line includes Projection Crash Cymbal models of 16, 17, 18 and 19 inches in diameter made of B20 Cooper Tin with a nice shiny finish. Also offering the option to buy the complete set instead of the pieces. With respect to these pieces, they are simple models, with some extra weight on the edges, which in turn have a slight rise, an extra height that cuts the sound with more speed, reducing the duration of the sling, and in turn, gives more depth and power in dry. Zildjian's plates are not the cheapest options on the market, however, their price is slightly lower than the first ones that we presented earlier in this list, and if you buy a complete set, surely you could save a part of your budget. • Renown brand both for quality, sound, and artists. • Great item to set the rhythm. • The dry and dark sound is good for faster playing setups. • Can be bought in a pack. • Still around the high-priced line. • Not for a fan of harmonic percussion sets. In general, the Zildjian A Custom 18" is an excellent choice to make noise, its bell offers my light harmonic tones, and its design with a very light curve and raised edges gives it power, ideal for more rhythmic sounds like hip-hop and dance music, but also strong enough for punk, hard-rock, and metal derivatives. On the downside, this model is still a bit expensive and doesn’t offer a very variable sound output. But if you are going out for the drummers most basic part, setting the rhythm, then you will be fascinated with its output. Back with Meinl Cymbals, there is the CC16TRC-B from their Classics Custom line. A 16-inch model manufactured in a bronze B10 alloy that lightens the price but maintains the quality of the product efficiently. This plate has a special design, hammered in a way that gives a random look, with different chisel sizes that articulate harmonic cuts in the sound, and with 8 open circular spaces of different sizes that are placed in a diamond shape to reduce the sustain of the sling resulting from the impact. The internal cuts and the slightly pronounced curve of its design give it a more metallic sound, while at the same time they cut its sustain. 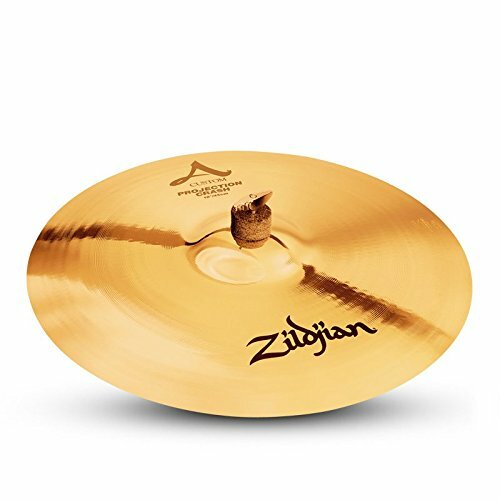 This type of cymbal is designed specifically for you to play to the sound of a good guitar, its cutting sound accompanied by the scraped melodies of harmonic instruments have a great balance and are quite appropriate for a drummer of any level. • Lower price and 2 years warranty. • Great for a rhythmic set. • Good option for beginners due to its price. • Lacks some harmonic power by itself. In general, the CC16TRC-B of the Classics Custom line is a good rhythmic piece for any drum set that requires a cut and medium impact sound. However, its power does not stand out too much, reducing value for musicians who need to "make noise" to meet their objectives. As for its price, this line is made with a lower quality material, but it still offers you the brands two-year guarantee, at almost half the price of the main production lines. Designed to be your first cymbal, this model from Meinl Cymbals is ideal to accentuate QUICK, FINISH touches. 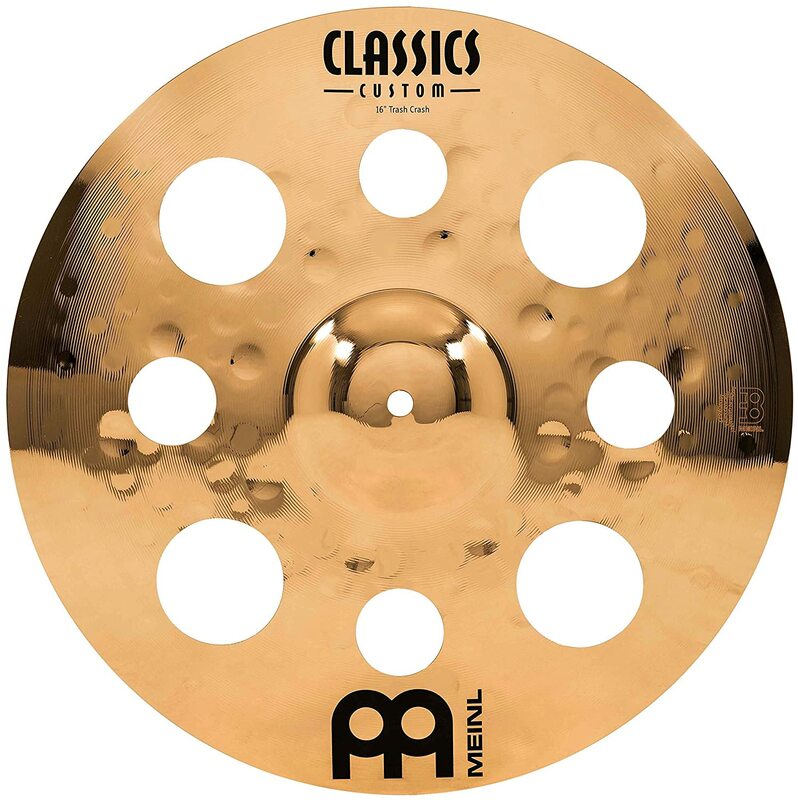 The 14 "Meinl HCS crash has a classic design, with its entire structure outlined and a more pronounced curve, in addition, it has a soft hammering, almost invisible in its entire structure. Due to this, it has an incredible response speed, with a soft and darkened sustain, while it has a perfect size to add quick effects to the battery. This being the case, this dish works best with musical styles that make use of eventual pauses, allowing to fill those voids after high tones of the harmonic instruments or the vowels with a brilliant stroke that functions as a bridge for the next group. 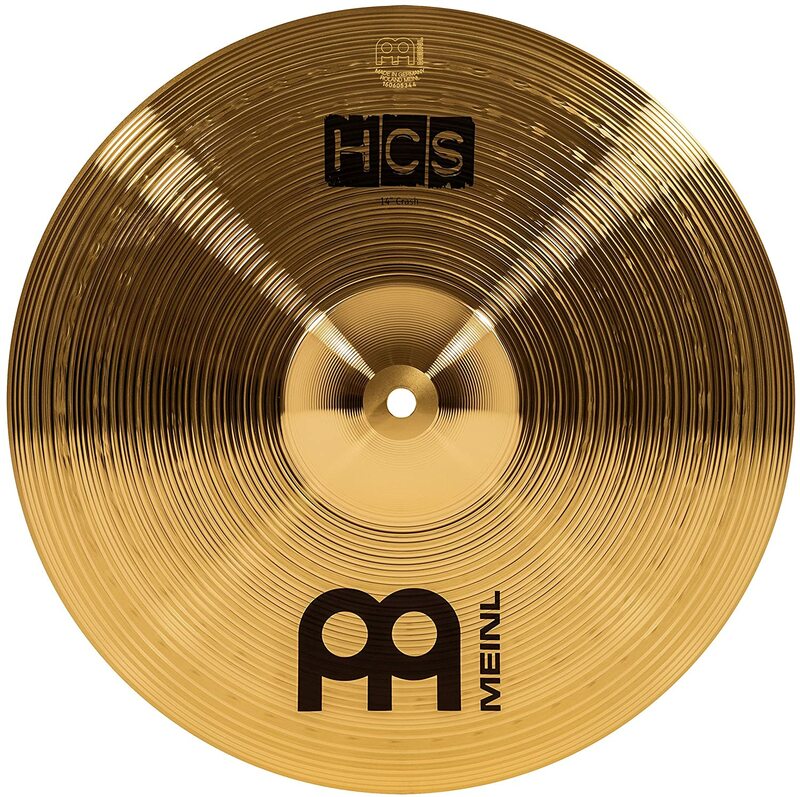 The Meinl cymbals of the HCS line are designed for musicians and students who are starting their careers, it is made of a resistant brass alloy that offers durability and resistance, even after the toughest blows you can give during your practices. Thanks to its basic sound and its low price, this dish can work perfectly within many musical rhythms, which makes it an excellent choice to start and experiment until you find your own style. • Low price + Good quality. • Great for starter’s kit. • Quick response with a smooth and warm sustain. • The material offers a less shimmering sound in comparison to the expensive professional lines. As for the HCS14C 14", everything depends on your position, the HCS line has a really good quality, and you could tune up your drum set cheaply, which makes it amazing for a beginner's set. It also offers a nice sound, a 2-year valid warranty and in time will always be there as an effect ride. On the downside, this is not going to be your main ride for long, but hey! This is a low-price good piece that will be with you until you find your own sound. Best crash cymbal for the money? We will begin this part telling you that everything depends strictly on the style you are playing. As a musician, you will notice that each piece of your drum set has a unique mean, sole or combined to get a sound that fits a specific style. This way, usually cymbals are there to give a bright effect to the drums in the background but can get way more notorious in fast heavy styles like grindcore or thrash metal, where they shine the most. So, before taking your money to the music store, make sure to have an idea of the type of drummer that you are or want to be, this way you will have no trouble finding the best pieces for your set. Meinl B20ETHC Byzance is the winner of this list, why? It has the best warranty, nice effects and is basically suitable for any music style. With this cymbal (or even 2 pieces of this guy) in your drum set, you can play some heavy effects or use it as the main ride. Unlike other models, this one is fit for virtually any professional setting, making it a great investment overall. On the downside, has no bell, but its design clears some harmonics, and the price is really high. If you are running in a low budget, or just don´t want to throw everything at your beginners set, then you should start with the Meinl HCS line. These guys will offer you a great sound output and are very versatile being suitable for most music styles, and, as in the case of the HCS14C, adding a nice effect that you can actually use over time. On the downside, the materials aren’t that great, and the design used for this line of Meinl can’t offer you a potent sound output. This makes them more of a practice/small gig set. When it comes to making a money/quality value, the Zildjian A Custom set will take the trophy off our list. You literally will not find one user who is not happy after buying the whole set. Sure, this is a more basic cymbal model, but it has the sound effects, power, and rides that you will use in almost any music style as a professional. And the price is almost half of the handcrafted Meinl top lines. We sincerely hope this guide helped you find the best Crash Cymbals for your drum set, make sure to share it with your friends and let us know your comments in the comments section just below.